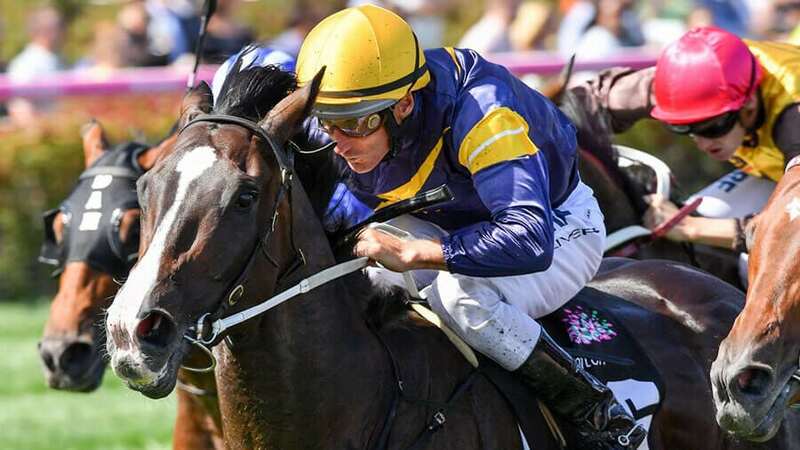 Form student RIC CHAPMAN looks at Saturday’s Mornington meeting, with horse racing tips and analysis for all eight races on the card. Good luck, punters! Probably find that KACHING will be in this finish. After placings at Caulfield and the Valley in better BM grade, he went to Bendigo and was beaten a nose with a big weight this level. Good show. BATTLECAMP has his foot on the till. Very fit now following a handful of runs and last start was doing good work late when 4th at Flemington and was a little stiff. PRIA ECLIPSE is in form and will run on. THE CENTAURIAN gets much needed 3kg weight relief here. Resumes well normally and won at Mornington when previously resuming, and has claims. STAR FALL strung together a 3-win picket fence before rising in grade and just missing a place last start. Sure to be prominent late. MISS TOORAK FLYER is a mare in form. Gets back and runs on and this looks a perfect race for her. Good each way hope. The 3kg claim will help ENIGMAN a great deal here. Is 3rd up in a race he can win. Good draw helps as well. CALL IT A DAY is an honest, reliable campaigner who was a solid 2nd when resuming last start this grade. Big show. ISLAND DAZE is in form winning 2 of past 3 but badly drawn here. If luck plays a role, she can show up again. Probably charges to the lead early from this gate. Is a chance here too. The grade is perfect for MUSIC BAY. The draw means she gets the run of the race. Her first-up run was full of merit charging late to grab 2nd and she gets a 2kg allowance. Wow, looks the winner. JENTICO resumes here and showed promise winning twice last campaign. KOOTARA is getting better with racing and game win slightly easier race last start. Big show. Here’s the first of the longer races for the babies. Sth Aussie VINCO has given the impression every start that this will suit. Gets back and runs on. Did that when eye-catching 3rd in Adelaide’s 2YO Classic over 1200m last start. REALLY DISCREET is by Helmet so will get the trip and she was rocketing home late when impressive 4th in recent 1400m Gr 2 Sires’ Produce. Will gobble this up. Sydney filly PIERRO ROSE is a plodder but a very fit plodder who might develop into a smart horse. Can place. It does seem that these staying races are fought out by those predominantly on pace. So PRINCE ZIGGY whose form is just simply wonderful at this level, looks to go to either the lead or near it. Was on pace when winning the Stony Creek Cup last start. And he is so honest he will be right in the fight again. THUNDER CLOUD probably has a little more natural talent than him but is a bit in and out. Did win 2 starts back so is ready again. ANDREA MANTEGNA is a tough enough galloper this grade and placed this class last run. Place show again. What a terrific field. Gr 1 winner TRAP FOR FOOLS is back in great shape and although this is a little further than he likes, he will lump this big weight to the lead early and probably stay there. If no-one takes him on in the middle stages he certainly is the best horse so will be tough late. STARS OF CARRUM has been screaming out for this trip. Rattled home for 4th in the 2040m Gr 2 Alister Clark against own age. On the limit here, which is a massive advantage, and will lap up this journey. TARQUIN is so honest and just keeps hitting the wire. Down in weight from recent starts which is helpful. Like the previous race, we have a Gr 1 winner with a huge weight here. MANUEL is racing in good style and is the best horse here. But…he’s better at 1400m and he has a horror draw. Probably charges out and tries to find the front early. GLENALL may try and hold him out and with this weight should drive forward. Will appreciate the drop in grade too and looks very well placed. MYSTYKO has been a revelation this time up winning 4 of past 6 and rising through the grades each time. Hardest test here but last start win was very strong. It has been quite exciting watching MR QUICKIE roar his way through the grades. He sits back midfield every run, then thunders home and has risen from mdn win to here – claiming his past 5 in a row and winning 6 of last 7. Big weight but he is genuine and looks the one to hold out again. BASIL is on the improve as he showed last start winning his maiden in nice manner. Trip suits. FIRST CLASS DREAMER has won 2 from 2 this time up, but steps up in class here. Likes to be near the pace and is strong late.